Below – 1908 – Map of Bargany Colliery. The brickworks are believed to have been situated in this area. 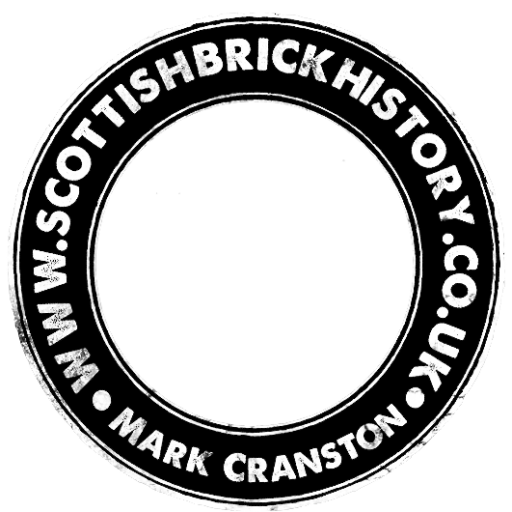 Below – 23/03/1920 – The Scotsman – South Ayrshire Collieries Limited, Glasgow are building a fire clay brick works on the Balgany Estate. 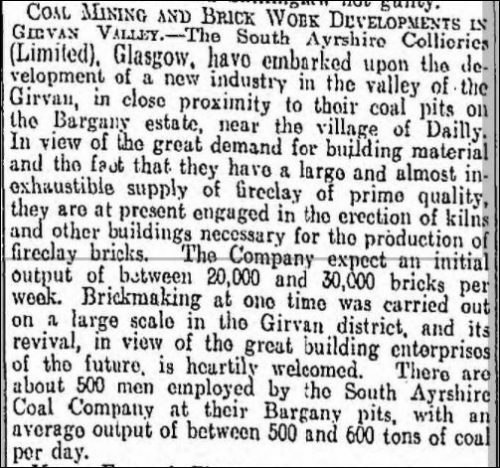 12/12/1927 – The Scotsman – Collieries and brickworks for sale. 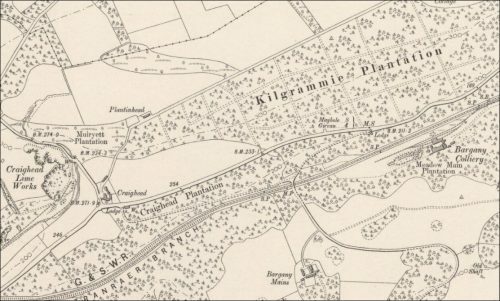 For sale as a going concern, the collieries known as Killochan, Bargany and Maxwell together with brickwork adjoining near Dailly, Ayrshire as carried on by the South Ayrshire Collieries Ltd (in liquidation). There are large reserves of coal still to work and the pits are well equipped. 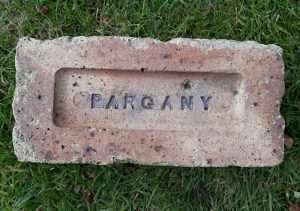 …..
Found by John (Ian) Jones at Bargany, Ayrshire. Bargany Brickworks, Killochan Pit, Girvan Valley, Ayrshire. . . . .